Sunol is an unincorporated area in Alameda County with less than 1000 citizens. In August 1981, Sunol had a race for mayor of the area. There were originally two candidates (Paul Zeiss and supposedly a man who went by Wolf), but Brad Leber proposed that there should be a third candidate claiming that Boss "Bosco" Ramos could do better than both of the candidates. Soon, a write in campaign swept the town, and despite not being on the ballot, Bosco overwhelming won the office of Mayor. Granted he received 75 of the 120 ballots cast, so one could say turnout was a bit low. Granted the election did take place at the Sunol Lounge, a local nightspot. Why is this notable? Although the two official candidates for mayor were both human, Bosco, the winner of the election was actually a black Labrador / Rottweiler mix. Yes, that's right, Bosco was Brad Leber's dog. Bosco's campaign for mayor had an unconventional platform, claiming that dogs were people too. The campaign even had a slogan "A bone in every dish, a cat in every tree, and a fire hydrant on every corner." He ran as a "re-PUP-lican". 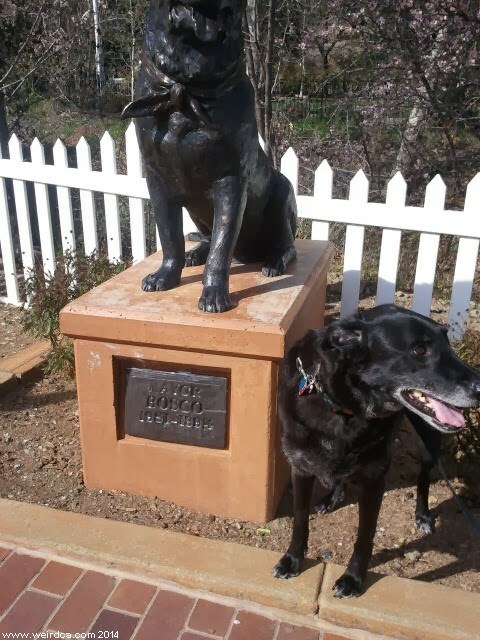 Bosco would serve in the honorary role of Sunol's Mayor from 1981 all the way until his death in 1994. He was America's first dog mayor. In his role as Mayor he led the annual Halloween parade, attended Sunol events and gatherings, and often showed up in his formal tuxedo at said events. His daily schedule often included hanging out in front of the local bar, begging for treats, and helping drunk patrons walk it off as they sobered up. He was usually left to his own devices during the day, returning home when his day job of making sure the town was alright was finished. 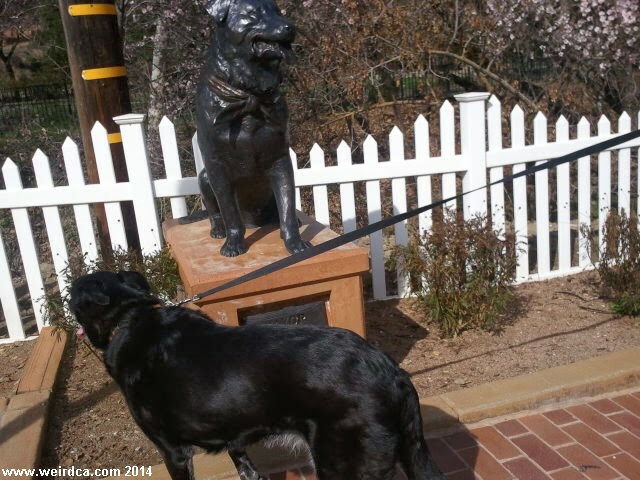 Being left to wander the town on his own reportedly led to an increase of black puppies in Sunol. 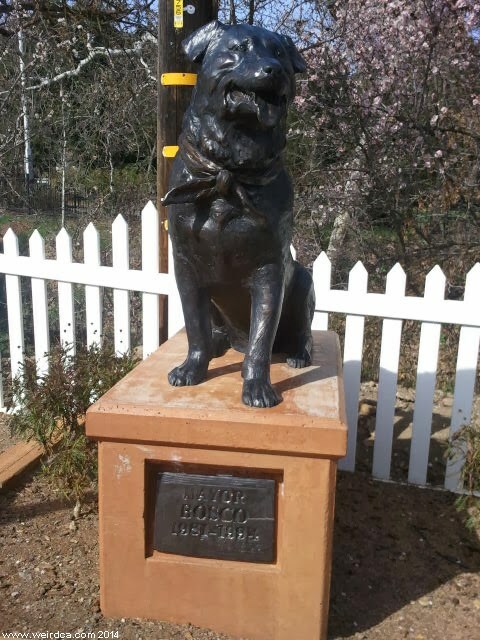 Bosco often wore a red handkerchief around his neck, and although he started out as Brad Leber's dog, when Leber needed to move, he became the Stillman family's dog. His tenure was not without controversy and turmoil. In 1984, British tabloid the Daily Star covered the mayoral election and referred to Sunol as "the wackiest town in the world". In December 1987, a large fire swept through downtown. Bosco's sympathy and role as mayor helped the populace cope afterwards. In 1988, Bosco disappeared! He had fallen asleep in the back of a pickup truck and inadvertently ended up in Oregon. Luckily a week after, he was given a ride home. And on February 23, 1990, the Chinese newspaper, The People's Daily called Bosco's election as mayor an example of the failings of the American electoral process and stating that "American democracy is going to the dogs". This led to Bosco being invited to a pro democracy rally outside the Chinese consulate in order to protest Tienanmen Square. Still, despite some turmoil and criticism, the town of Sunol loved and always stood behind their ceremonial mayor. Bosco and his owner, Tom Stillman, even appeared on the game show 3rd Degree during which contestants attempted and failed to guess Bosco's occupation. Sadly in July 1994 Sunol's esteemed Mayor, Boss "Bosco" Ramos passed away. The town has honored their beloved dog both in reverent and irreverent ways. 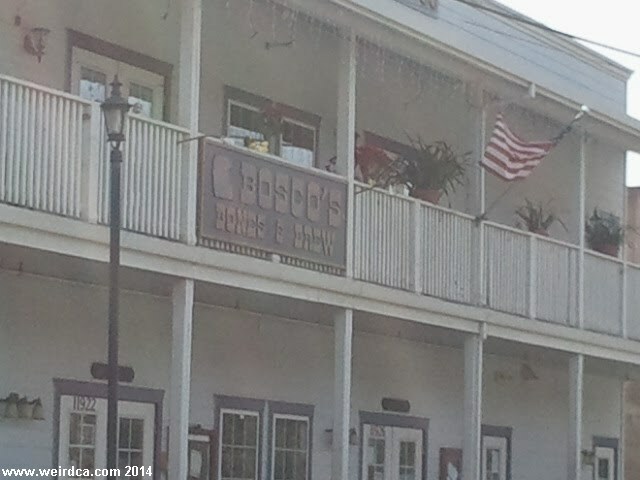 In 1999 Bosco's Bones and Brew opened up. It has a special beer tap at the bar, that of a life sized stuffed replica of Bosco. Bartenders pull up on Bosco's hind leg, causing the dog to pee beer. 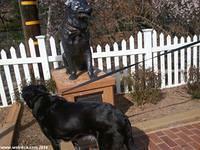 But on December 19th, 2008, the town erected a statue in honor of their dog mayor. The statue was made by Lena Toritch, a Russian artist and is near the post office.